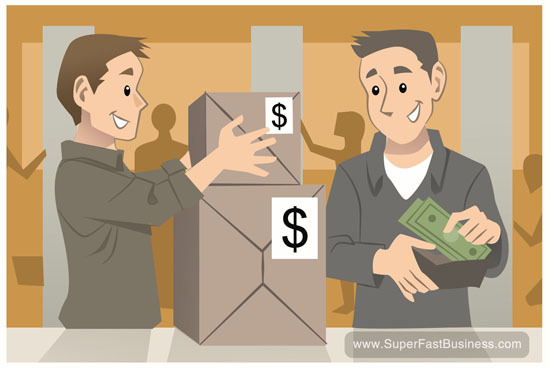 This simple move can increase the profit of your business. Increase your profit with this simple step. James Schramko here with a really profitable business tip. You see, there are three things that I know that can really boost your bottom line profit and I’m going to talk about one of them right now. So, here is the first thing you can do to really boost your profit and that is to take whatever product lineup you have and add something on top. There’s always a customer who wants to spend the most they can with you. They trust you, they like you, they want to do more and if you just add a product on top – a higher-priced product with a bigger profit margin, there will be customers you already have who are ready to go for that. So that is the simplest, easiest way to increase your profit. Start with the highest profit product and then build in the lower-priced products later. And if you’re starting out, then go for that higher priced product first. If you want to learn more about this, I cover it in my product called Wealthification which is available inside SuperFastBusiness and also SilverCircle.com. So, I hope you’ve found this tip helpful. The action step today is to go and add a product over the top of your highest current. Come back and report the results to me. I’m James Schramko and I would love to hear from you. Accomplish today’s action step and feel free to leave your comments below. Good tip thanks James. Putler (which I know you know about) instantly tells you who are your biggest spenders instantly *cough*Pareto principle*cough* and therefore prime candidates for a top-end product. On another topic James, would be great for you to do a vid on live chat/speakpipe engagement. Personally I love the convenience of live chat when I’m considering using a company’s service and want to clarify a point BUT I find that the live chat services (tried plenty) on my portfolio sites generally have a very low engagement rate i.e. visitors don’t chat – what are your thoughts? Thanks in advance as usual! Thanks J, will check those out. hey Tim thank you for the book you sent. Very kind! Are you using a green screen or is that an actual background? I am not using any green screen (even though I have one). You may occasionally see a black or white backdrop for screen cast videos. The three roller system is setup behind my sit down station. Most of my videos are filmed during the day with natural light indoors. That background looks so good it looks like you through an image up using a green screen. niiiiice!